This work examines meat production, processing and preparation; looks at how freezing affects poultry products; describes changes in seafood and fish during frozen storage; analyses phyiscal and chemical alterations in fruits during freezing; discusses prefreezing operations for vegetables and details the manufacture of ice cream and related products as well as the consequences of freezing eggs and techniques in production of bread from frozen dough. 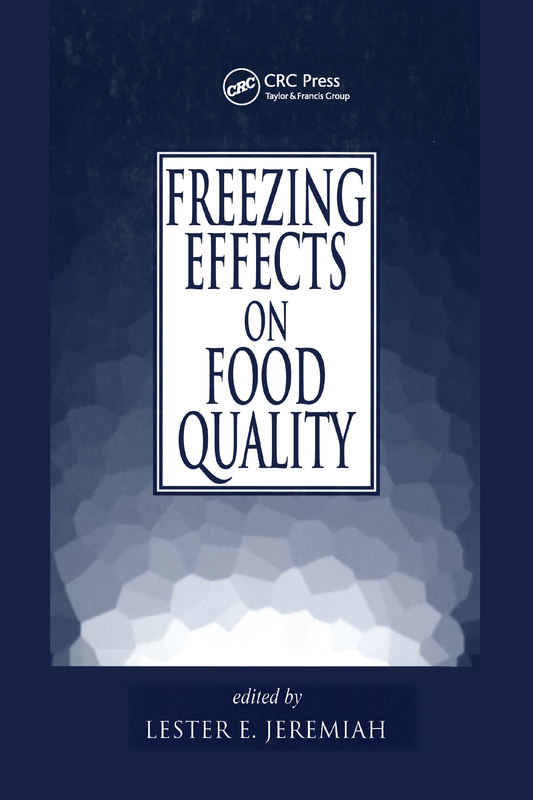 It presents a comprehensive overview of existing knowledge regarding the influence of freezing, frozen storage and thawing of specific food-stuffs. It delineates how freezing processes alter the colour, appearance, palatability, nutritional value, intrinsic chemical reactions, microbiological safety and consumer acceptance of foods. The fundamental concepts upon which food-freezing technologies are based, are reviewed. Fundamentals of food freezing: fundamental aspects of the freezing process. Muscle food products: red meats; poultry and poultry products; fish and seafoods; cured and processed meats. Fruits and vegetables: fruits; vegetables. Dairy and egg products: freezing of dairy products; effects of freezing, frozen storage and thawing on eggs and egg products. Cereals and baked products: effects of freezing, frozen storage and thawing on dough and baked goods.